NEW! - Click on button for video! 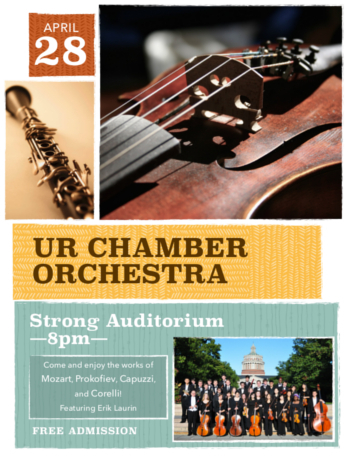 Sunday, February 22: UR Choral Extravaganza! Thursday, April 19: Brass Choir (never will be) Spring Brass-tacular – CANCELLED due to weather! Friday, May 4: Musical Theatre Workshop Revue - Lower Strong, 8PM ONE SHOW ONLY!